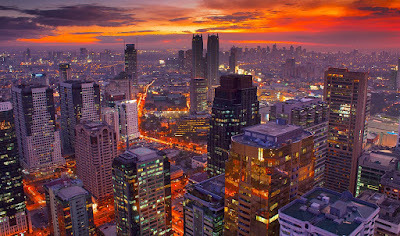 On January 5, it was time to return to Britain after a three-week Christmas holiday in the Philippines. I can say that I have taken a lot of major carriers between the Philippines and London. On previous occasions, I have taken Philippine Airlines, Cathay Pacific, Singapore Airlines, and KLM. 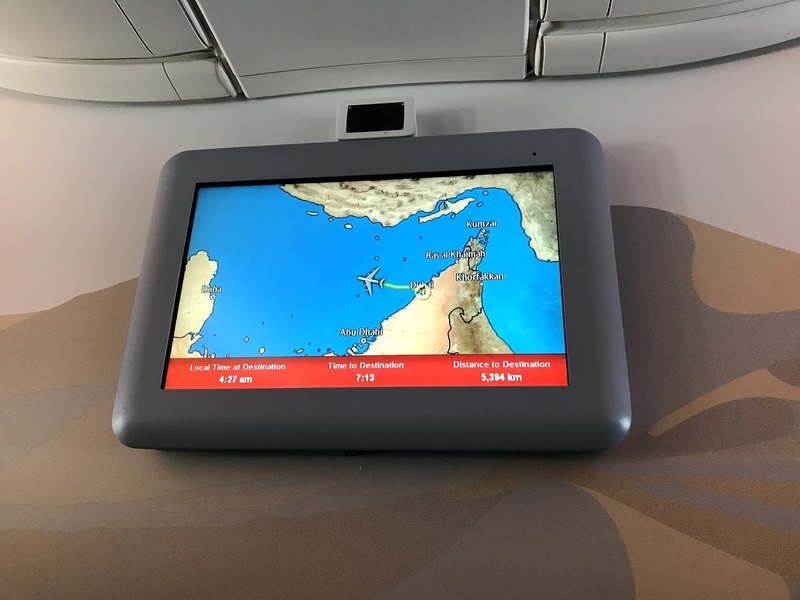 However until this trip, Emirates was not on that list. 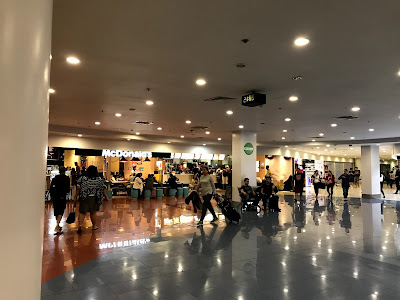 I probably had an affinity for stopovers in East Asian cities due to the fact that the carriers and airports associated with them have consistently had the best experience for travellers. 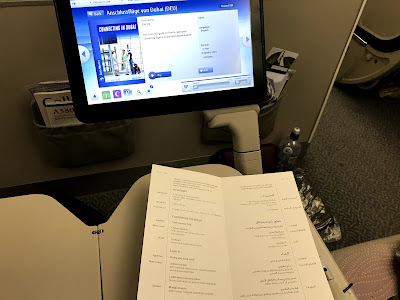 In addition to cost, one of the things that made me consider Emirates was the fact that I have already gotten used to seven- to eight-hour flights as being long. These were probably a result of numerous trips between London and New York within a year where I could hardly wait until the flight was over. It was just as well. A flight of such length was 'short' enough to avoid asking 'Are we there yet?' many times and also 'long' enough to experience the full range of in-flight services that the carrier has to offer. A stopover at Dubai meant that I would have two such flights and a stopover at what I consider a world class airport. 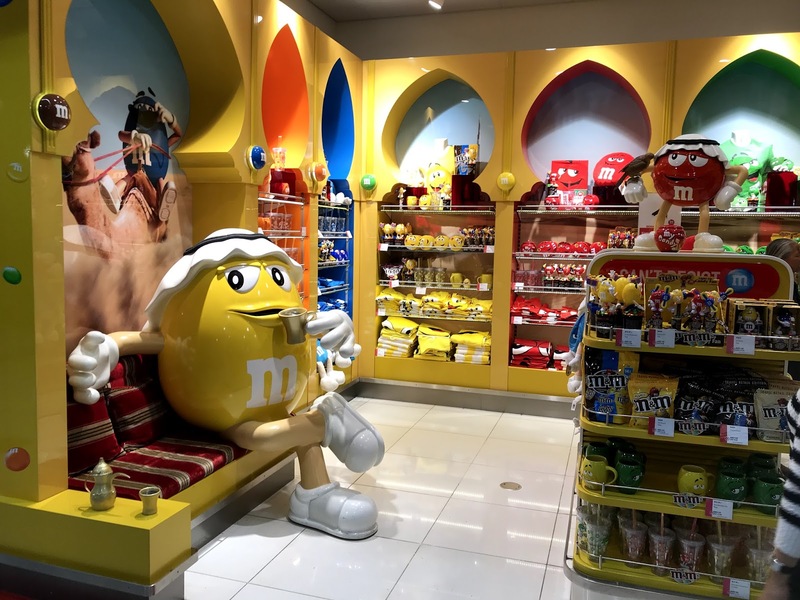 If being airborne was like a desert, Dubai Airport was like an oasis, a place to refresh and pamper oneself. 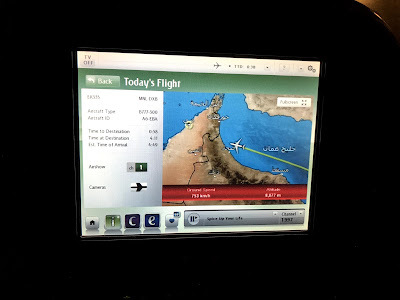 After taking this journey, I had a newfound appreciation for gulf carriers like Emirates, Etihad, and Qatar Airways. Such carriers are popular not just with Filipinos but with westerners too travelling between their home country and the Far East. 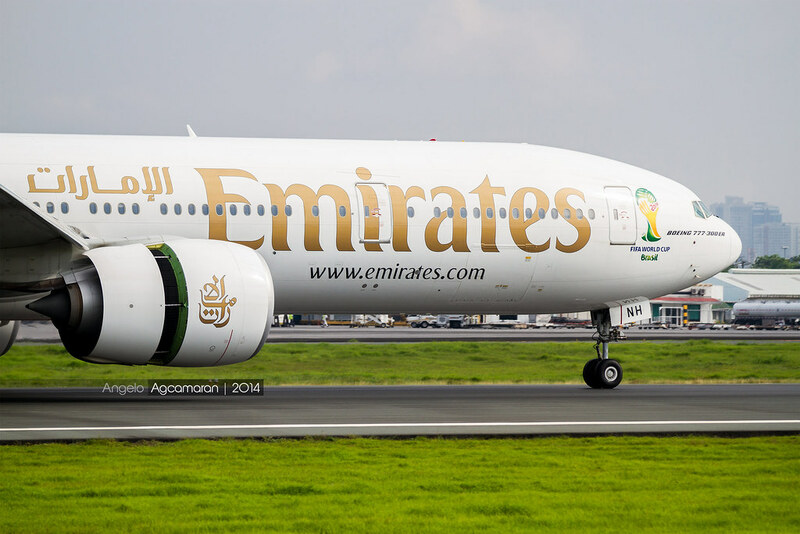 This is probably due to the fact that Emirates has a very wide network that serves Europe. Most major European countries (except Finland and the Baltics) have at least one Emirates flight. 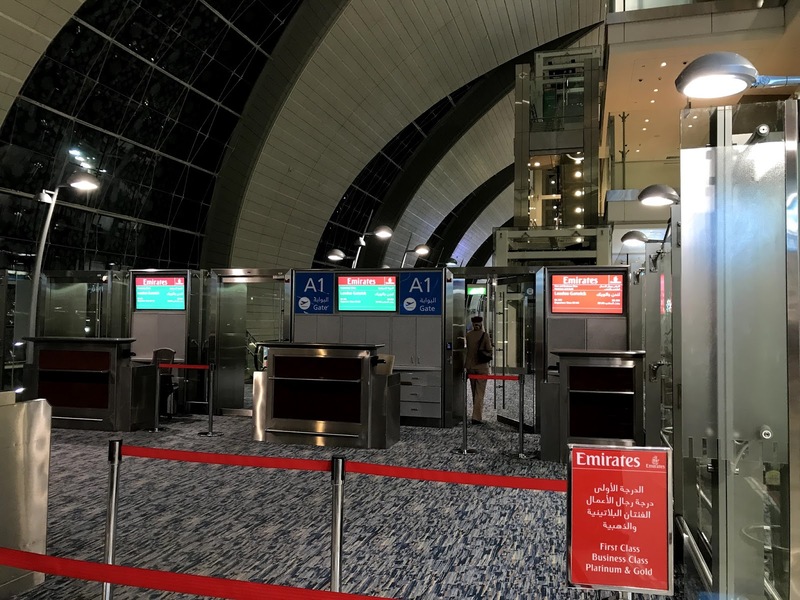 Hence, Emirates serves the occasional pinoy traveller to Europe and vice versa well. We arrived at NAIA Terminal 3 nearly two-and-a-half hours before departure. Since my folks were with me, it meant I could not freely enjoy Terminal 3 as much as I wanted. They wanted to squeeze every possible moment with me and I obliged. After all, who can blame folks when their kids will be away from them for a fairly long time? I approached the online check-in desk and presented my self-printed boarding cards to the staff. At the time we checked in, the queues were surprisingly light for a Manila-Dubai flight (though you won't necessarily say the same thing about the load of the flight itself). My bags were within the 30 kg allowance. That already included a smaller roller bag that I placed inside my bigger bag. 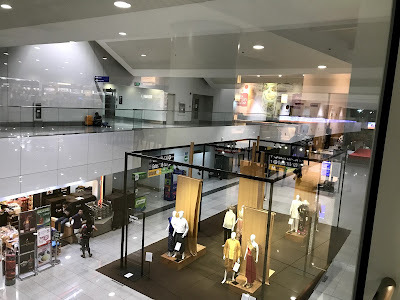 This also resolved the strict but occasionally inconsistent baggage policies I experienced on my previous journey with the carrier. The staff who attended gave me a new set of boarding cards but I needed to see the travel tax desk first. I assumed that I would be tax-exempt like last year since I am technically not a Philippine resident. 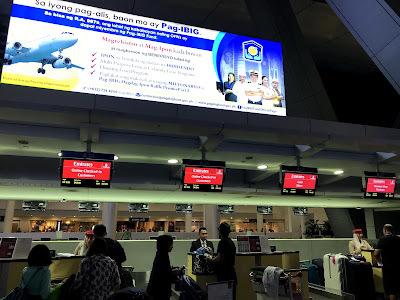 However, the staff at the travel tax desk clarified the rules: the exemption only applies to OFWs and Filipinos who have continuously stayed outside the Philippines for more than one year. 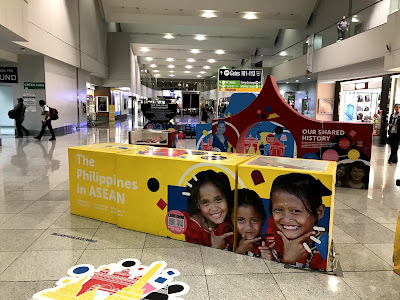 TIP: If you are a Filipino based abroad planning a holiday or a business trip to the Philippines and are not bound by the usual bank holidays (e.g. Christmas, New Year), try to plot it more than one year after your previous one. 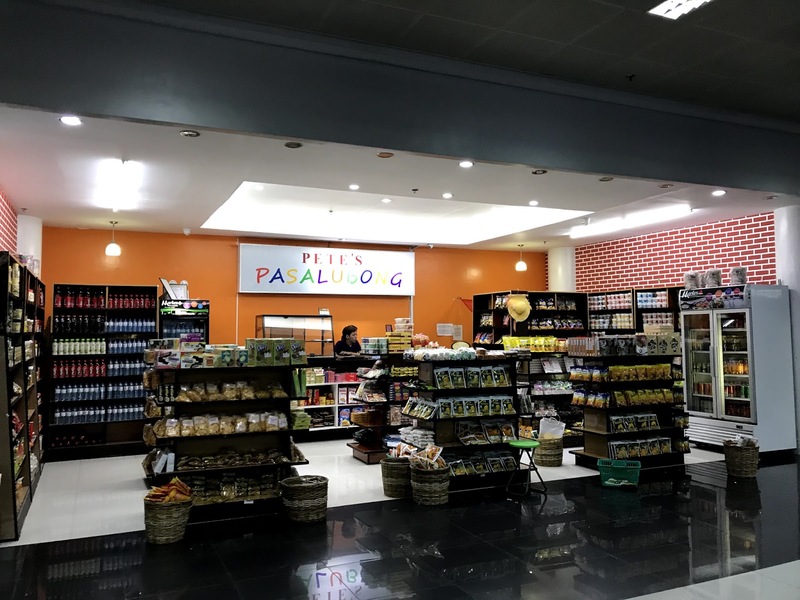 This way you can save ₱1,620 (US$33, £24) and use for other things. After dropping my bags, I went with my folks to the landside food court. Their first choice to eat in, Mary Grace, was already closed so we went to Coffeebean. We spent nearly an hour there. I also had to spend time catching up on a crucial email for a task I was assigned to do. I had some tea and a strawberry short cake. With nearly an hour left before departure, I parted ways with my folks and proceeded to passport control. The queues were fairly short on this leg. 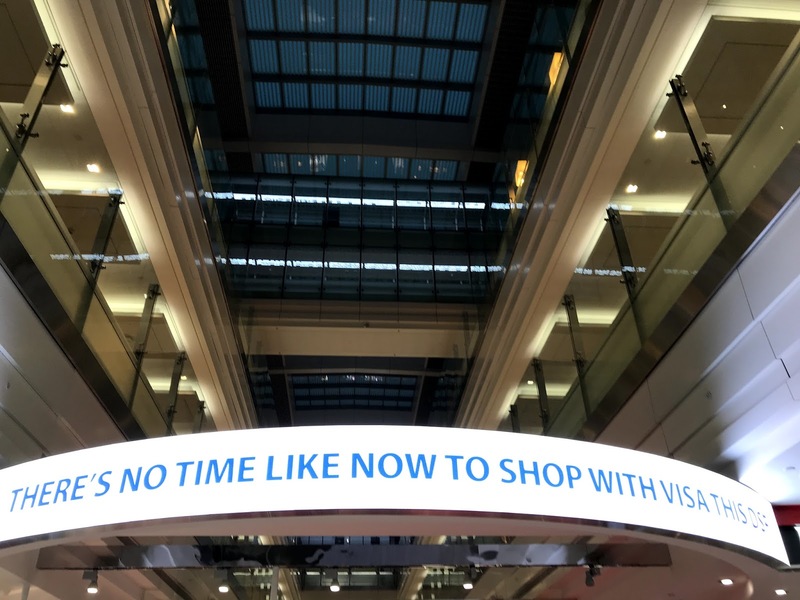 The same can be said for security. This time however unlike in my last trip at NAIA Terminal 2, security officers required me to remove my laptop and tablet from my bag. I finished quickly as well and was on my way. 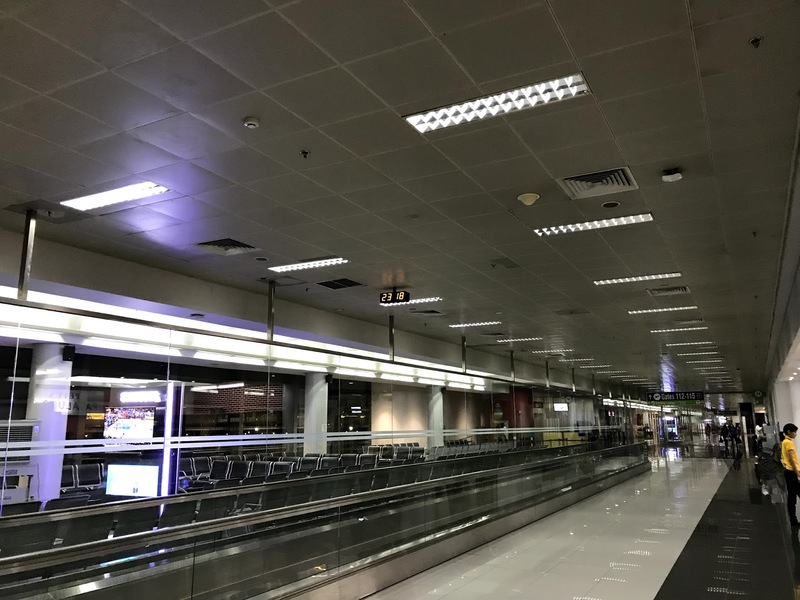 For the next 10 minutes, I took some pictures of NAIA Terminal 3's airside. 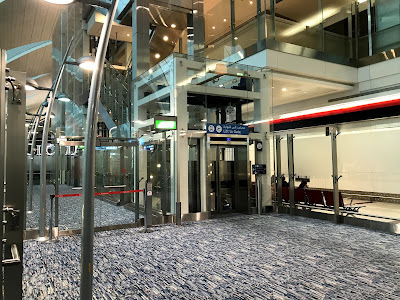 Along the way, I was still curious as to why certain gates in the terminal were enclosed in glass whereas the gate Emirates passengers boarded at was not. I also took some time to buy some crisps from a WH Smith store. 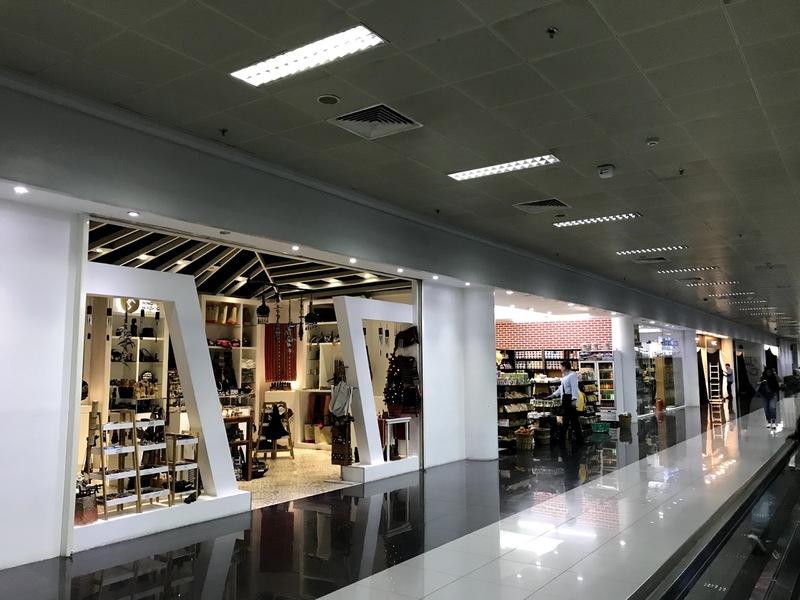 The terminal's ceiling though, clearly showed signs of ageing even if it is NAIA's 'newest' terminal. 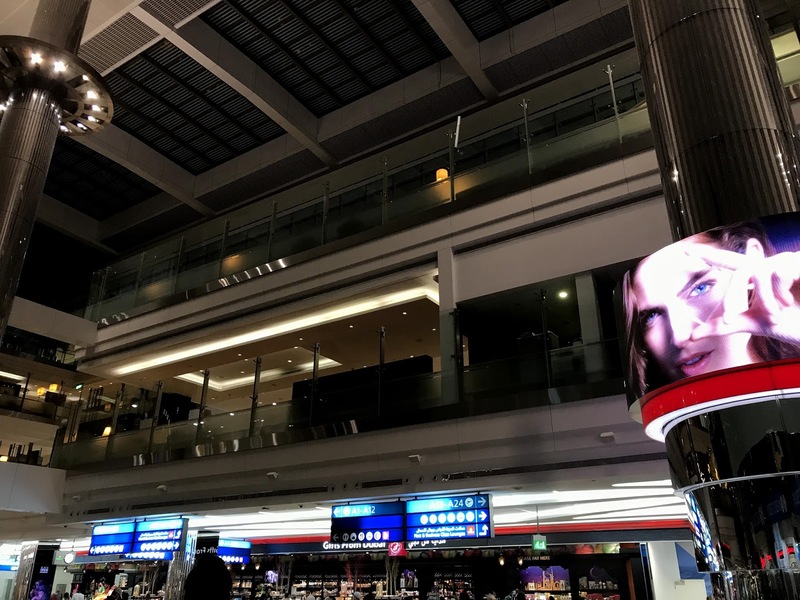 In fact, I got the sense that Terminal 1 is now more aesthetically appealing than Terminal 3. I waited for a few more minutes before actually presenting myself for boarding. There was even an announcement akin to 'final call' even with 40 minutes to departure. 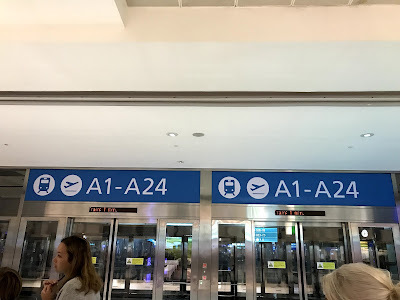 There was a reason for me not to board too early: I wanted to avoid the bottleneck caused by passengers taking their time to stow their bags in the overhead lockers. And even if I boarded relatively late, it still took some time to reach my seat which was in front of the economy class section. 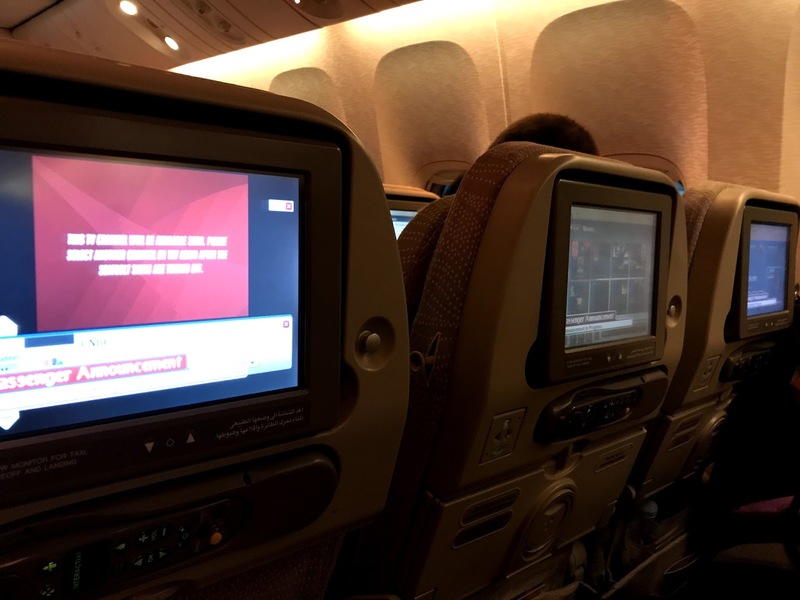 As I entered the aircraft, I saw from the business class section that the aircraft had an older (circa-2005) in-flight entertainment system. I was worried because an older IFE might mean fewer choices. But when I approached my seat, I saw that a live TV option was available. And so were some of my favourite shows. In fact, the monitors were also touch screen. But what bothered me more was that the in-seat power ports did not have any provisions for USB power nor for those who only had UK-type of plugs. So I had to borrow an adapter that belonged to a passenger seated behind me. Worse, the power port closest to my was not working properly. It would inconvenience the passengers several seats away from me. Also, the flight departed more or less on-time with the plane taking off just five minutes after scheduled departure. 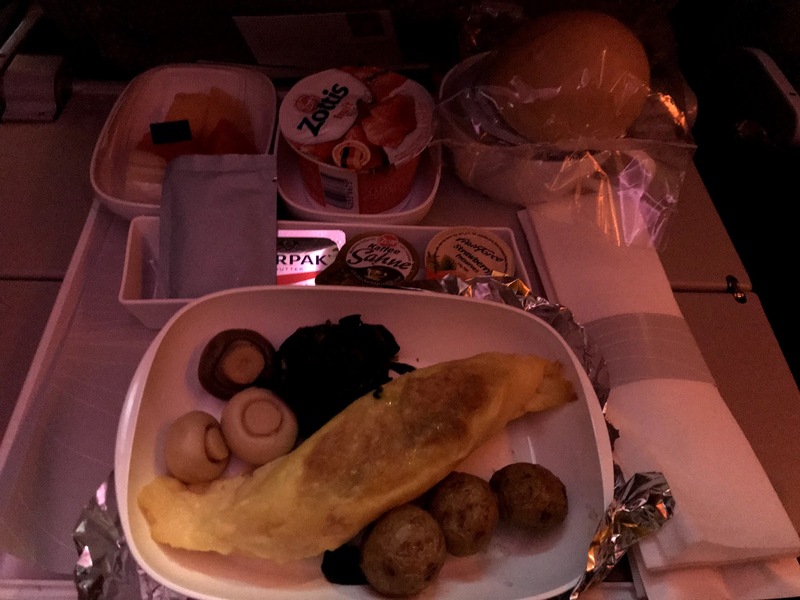 By Emirates standards, Manila-Dubai was a medium-haul flight and it meant that the staff would only serve one full meal. The first food item they served was a light snack: chicken adobo focaccia and marble cake. It tasted delicious though I preferred that it be warm. Shortly after eating my meal, I drifted off to a short nap. At the same time, I played some ABBA music and the airshow (moving map). For most of the flight, the cabin was dark but had mood lighting with stars coming out of the ceiling. 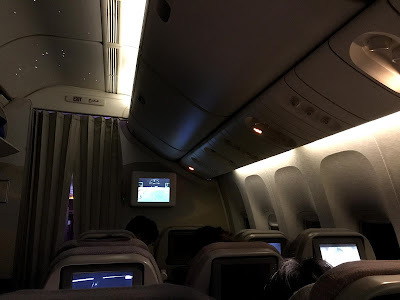 The mood lighting was one aspect where I think Emirates has an advantage over its East Asian rivals because if you're in their economy class, you are out of luck. At one point, I pushed the cabin attendant button to ask for water. It took a while and it was only when one of them served their beverages did I get one. 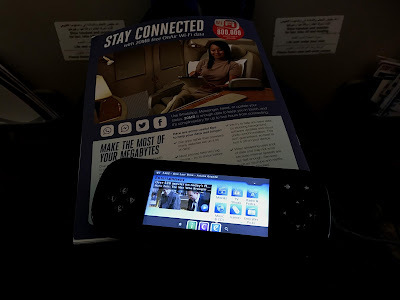 During the flight, I opted to try the onboard WiFi service called OnAir. A 20MB free allowance hardly gets passengers anywhere. I opted to charge $9.99 (£7.40) for a 150MB package for my smartphone. Luckily, I was able to write parts of this flight review with my 20MB free allowance on my laptop. I also limited my use of data to reading tweets whereby I get as much news and opinion as I want without breaking the data bank. With just about five or so hours remaining, I decided to get another glass of water and take another nap. In the middle of the flight as well, I also took a walk to the rear. I was also given a bag of pretzels. Emirates 777 Economy class cabin with some mood lighting in the ceiling. Less than three hours later, the crew started serving breakfast. I chose the omelette option with coffee as my drink. 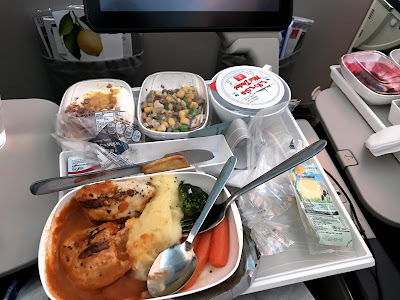 As 2 hours and 15 minutes of flying time were left, I decided to take my time to finish the meal. At the same time, I create my customised music playlist on the IFE. I took a screen shot of it so that I could set it up on my next flight again. For the remainder of the flight, I just set it to shuffle mode. The flight ran incredibly quickly despite it being a westbound leg (which is slightly longer than the eastbound). The IFE probably had something to do with it. These are rated from 1 to 10 with ten being the best score. 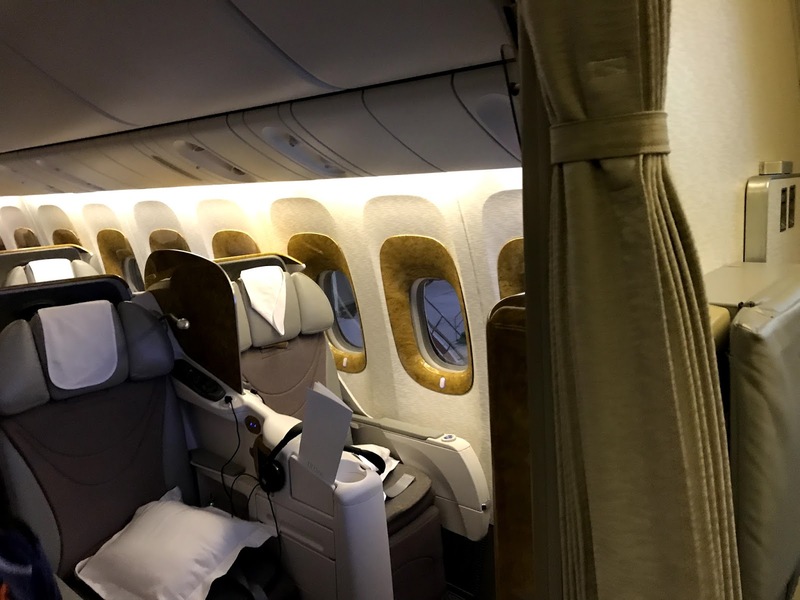 This covers aspects of the flight experience that Emirates and its ground agents are responsible for with a focus on Economy Class. Check-in (10/10): The staff were quite helpful. They told you where to go especially when it came to sorting out travel tax issues. 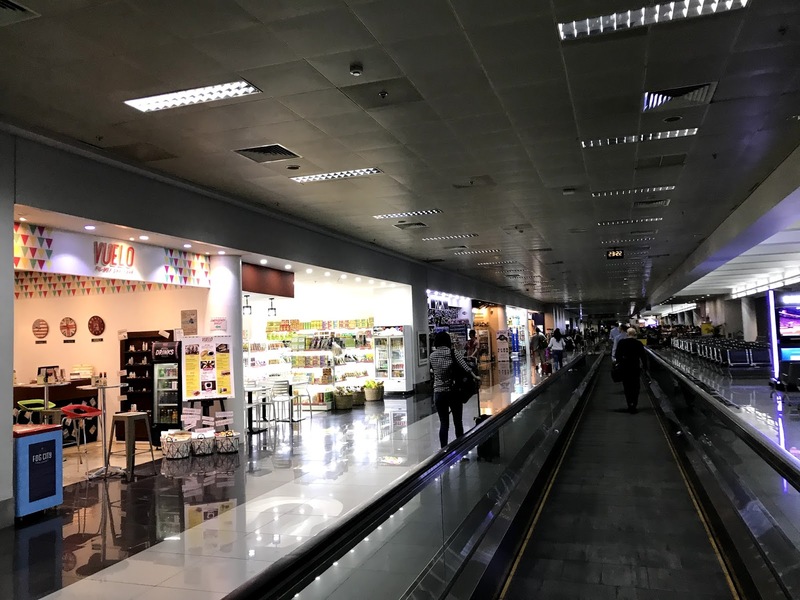 The baggage issues I had on the journey from London to Manila were gone. Boarding Process (9/10): I didn't experience massive bottlenecks at the boarding gate. It was after entering the door of the aircraft where I had to wait. Seat Comfort (9/10): The seat was fairly comfortable even if it was narrow. There was a reasonable amount of legroom. Food (8/10): Food was fairly delicious. It would have been better if the light snack they served early in the flight was heated. Cabin Crew (9/10): Service was reasonably good though it took a little long for the cabin crew to come to my seat. Punctuality (10/10): The flight departed remarkably early, taking off only five minutes after the scheduled departure time and landing remarkably earlier than planned as well. In-flight Entertainment and Connectivity (7/10): Despite being on a relatively older 77W with a fairly dated IFE system, the library was still quite wide. 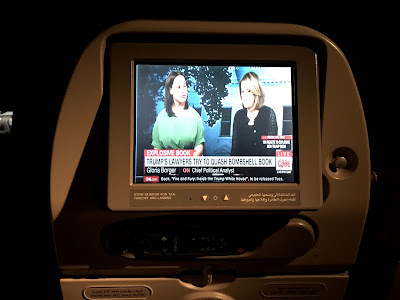 Live TV and in-flight WiFi were available albeit spotty at times. My bigger criticisms are reserved for the power ports. 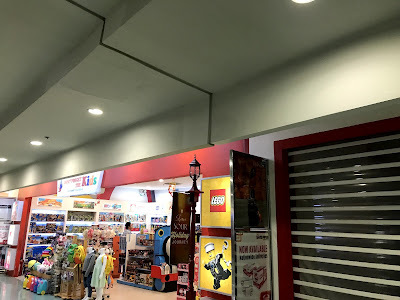 Ideally, they should be universal as a UK/Hong Kong/Singapore-type of plug could not fit in there. The older IFE system also meant that a USB-only phone/tablet charger was insufficient. I am not forgetting the malfunctioning power port too. Emirates has a huge number of passengers from the UK and some of them would be travelling to Hong Kong, Malaysia or Singapore so a power port for their chargers would be much appreciated. 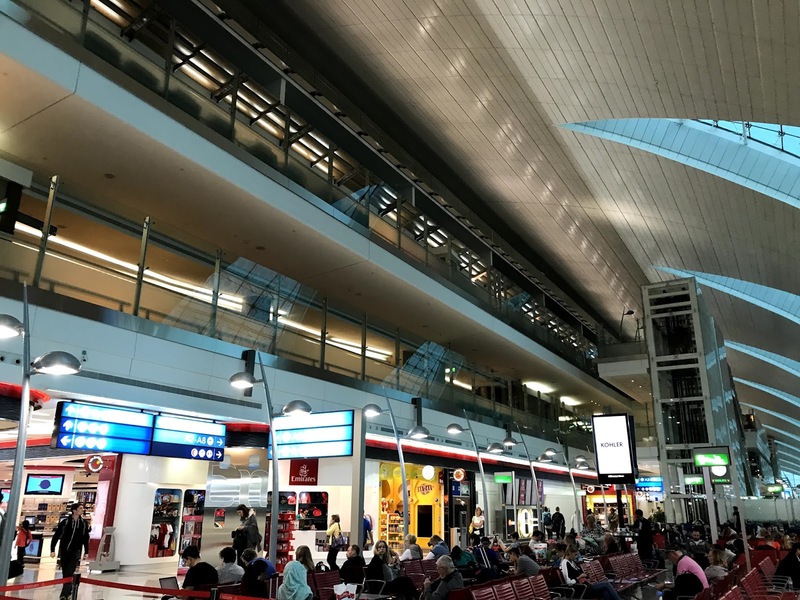 TIP: Dubai Airport's Terminal 3 actually consists of several separate buildings. You may need to take a different form of transport to get from one building to another and it could take nearly up to a half hour to reach a different terminal. 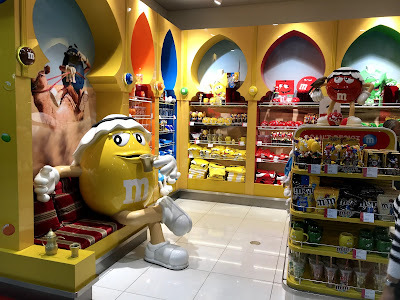 If one thinks of the long haul flights as a desert, then Dubai Airport is an oasis. Plenty of things to do, especially shopping and dining. 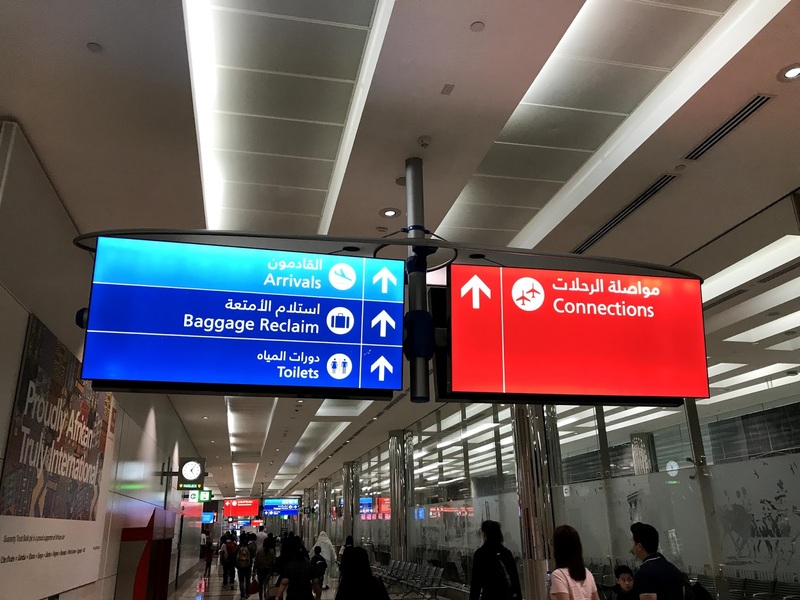 Going through the connection lane in Dubai Airport actually took longer than I thought it would. After landing, I proceeded to the transfer desk to see if I would be able to get a front seat. 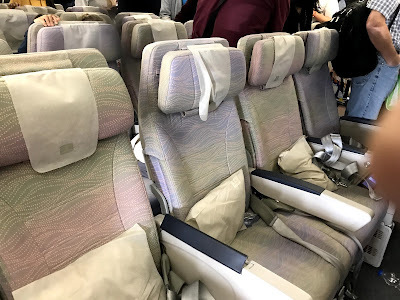 Staff told me the flight was full but that I was seated close to the front already. I then walked up to security only to be turned away at the first point. They made me walk another few minutes to another checkpoint. 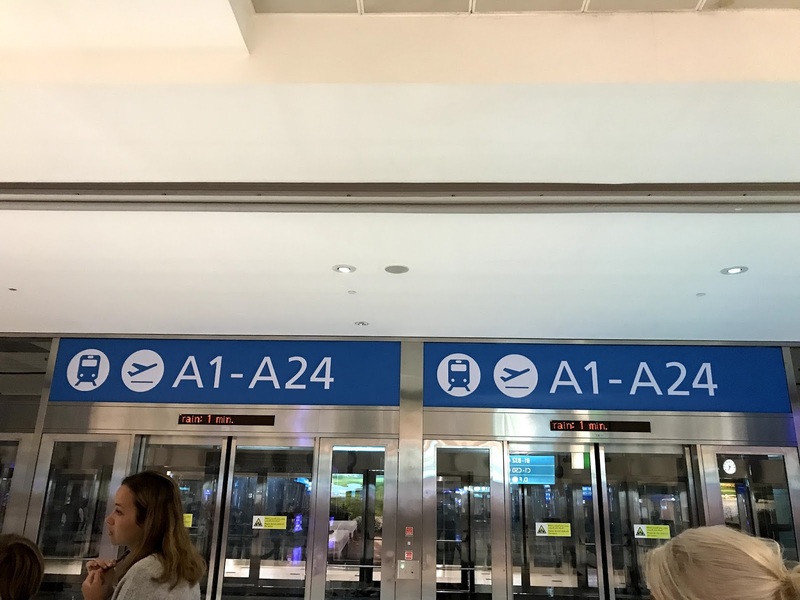 Once that was done, I had to walk a few flights of stairs down and take an automated people mover to the the A gates. Upon there, I tried to find an electronics store to buy a crucial accessory for my Macbook Pro. 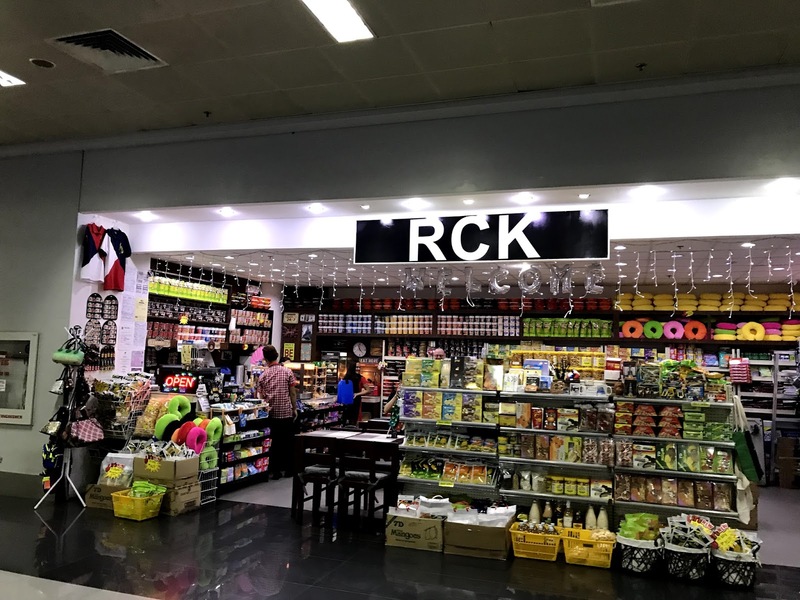 Unfortunately the thing I was looking for was not sold at the airport. The gate for my flight was fairly close to the electronics store. I went to a charging point to add juice to the devices that I could as I was sceptical that I would be able to do so on my next flight. Lucky for me I had an iPad that was almost fully-charged and could be used as a substitute during my next flight should my Macbook Pro run out of juice quickly. WiFi at the building was working fine for most of my devices though it was slightly difficult to get a connection for my iPad. There were also plenty of other stores in the area I was at. Compared to three weeks ago when I passed through Dubai Airport, the A gates area was more orderly and tranquil. 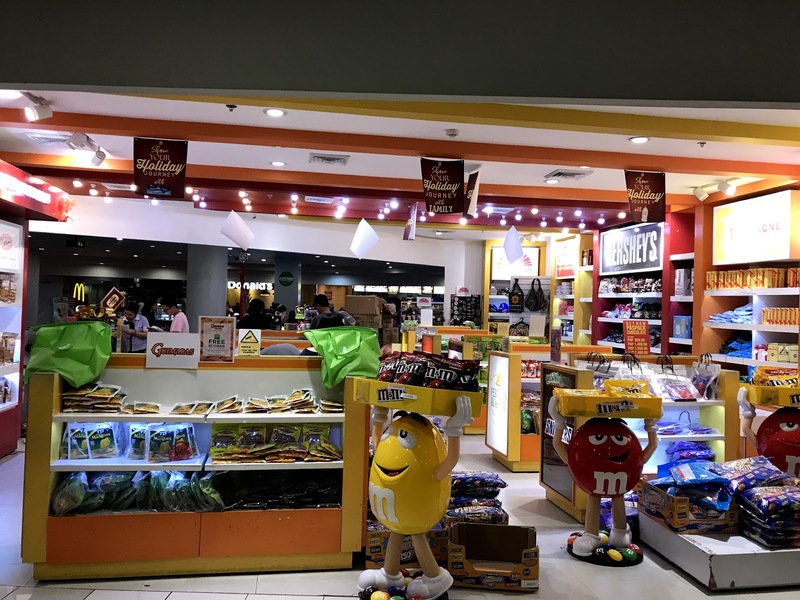 It was also cute to find that they have a mini M&Ms store complete with an Arabic theme. The boarding process actually started at 6.15, nearly an hour and a half before departure. 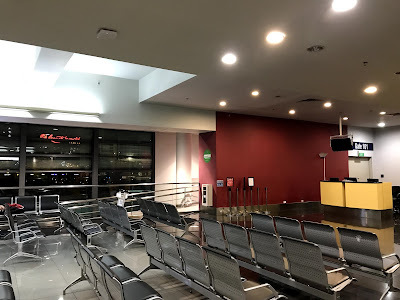 Like the previous flight, I preferred to board last as I wanted to explore the airport and avoid the bottlenecks of passengers. Plus, I was a bit hungry at this stage. 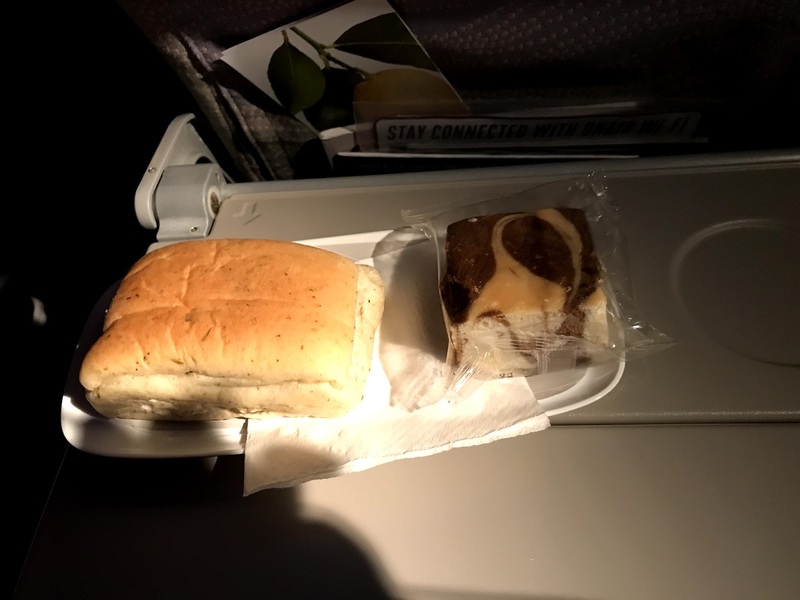 Despite the hunger, I did not buy food in the restaurants since the crew on the next flight would feed us. Nonetheless, I was pleased to see what food options were on offer. I was surprised that Deliveroo was operating in the terminal. Although McDonalds was near the B gates, Deliveroo could be used to deliver food from there to passengers at the A gates. I also found out that for the initial run, no delivery fees will be charged yet for usage of the service. 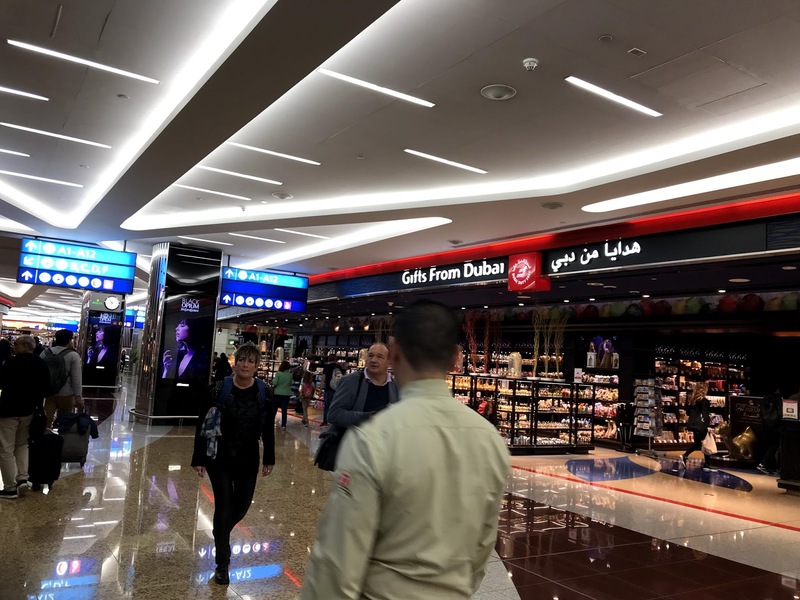 TIP: You can also travel to the other buildings of terminal 3 if you do not fancy the stores or food options in the section where your flight departs. Take note however of the travel time so as not to miss your flight. I boarded just after 7.15. Passengers had to pass through layers of staff: one is to check travel documents and the other will swipe the boarding cards. 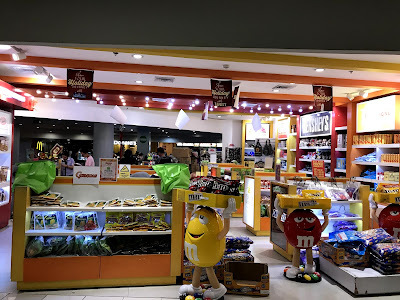 Once we took the escalator, we saw a holding area. I presumed that once we reached this point, there was no returning to the common areas for dining and shopping. When I entered the aircraft, I saw someone else seated where I was supposed to. The flight attendant told me that the passenger in that seat requested to be seated next to her partner. So I was reseated in an inner bulkhead seat just across from my supposed seat. 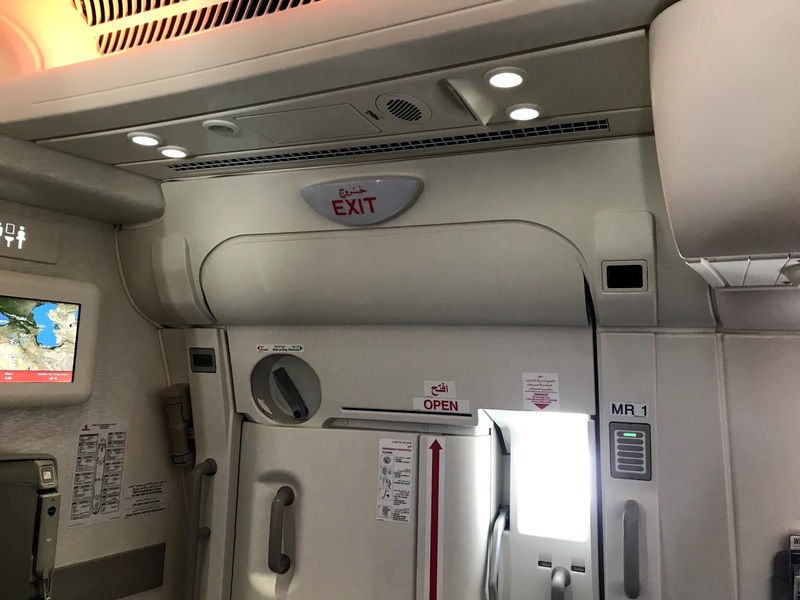 It was not at the very front of the economy class section but it was close enough to the door. The good news: legroom was better and I didn't have to ask my neighbour to move over. The bad news: I could not place my bags in the seat directly in front of me; there was no seat to put them under. We departed slightly late because of some passengers failing to turn up. The flight took off more than a half hour after scheduled departure. Though the announced flight time was shorter than the actual flight time so we were expected to make up. Lucky for me the IFE on the aircraft had universal power outlets USB ports, an improvement from the first flight. 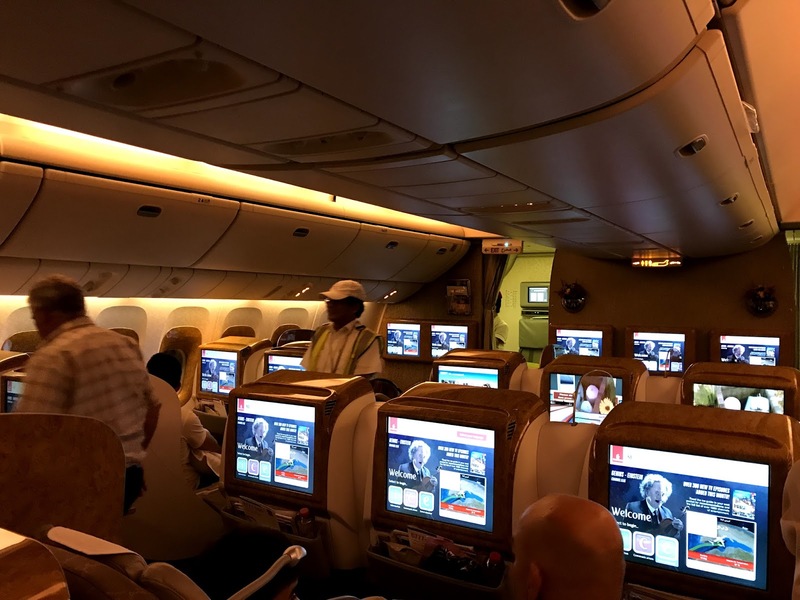 Although live TV was missing, Emirates had still spoilt us with thousands of channels of audio and video. I even reconstructed over my playlist from the first flight to this one but was interrupted by the safety video, taxi and takeoff. 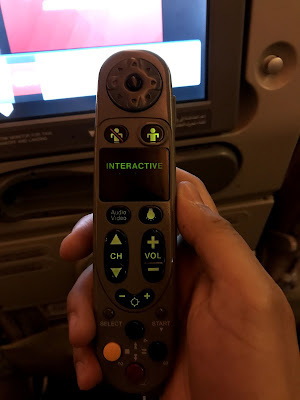 Because of the latter two moments where my in-seat monitor had to be stowed, I had to use the touchscreen remote, which sometimes pushes the wrong buttons and thus wastes time. 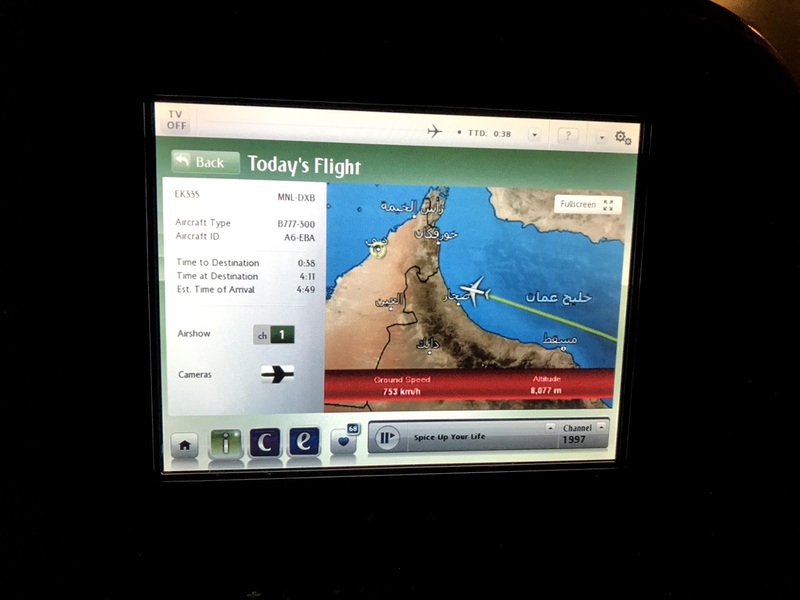 Once I thought it was safe, I used the main IFE screen which to continue adding music. Wifi though was a bit spotty, even in areas where coverage was supposed to be good. I didn't purchase a package this time but the free Wifi came with a two-hour limit which meant that 'dead zones' were costing me time. I dozed off for a brief period. Then it was time for breakfast. The food arrangements followed the first flight where the 'lighter' meal was given out first. It was a continental breakfast with cheeses. The cheeses themselves were delicious. 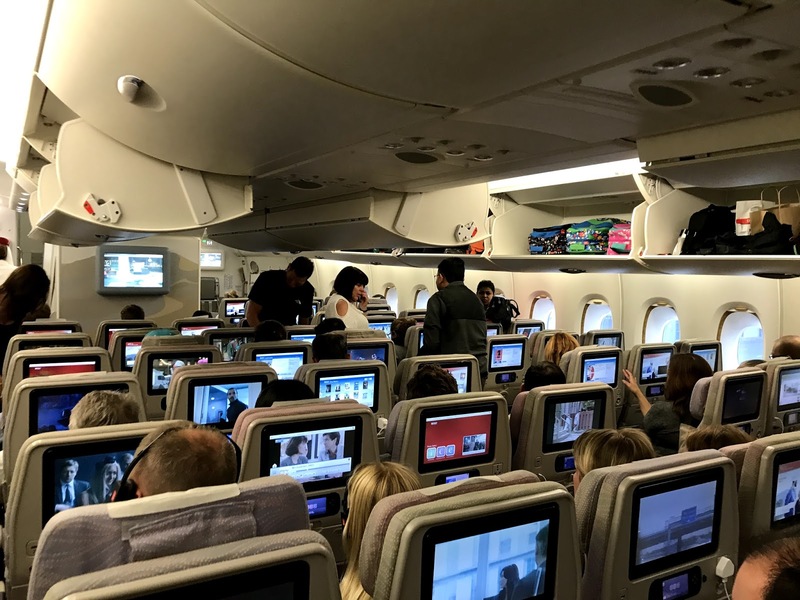 I also played a Swedish and German film though I didn't get to watch the entirety and had to skip over parts of them to try to see what else the carrier's IFE had to offer passengers, as well as to continue listening to my IFE selection. Two hours airborne, I used the toilet. The closest one was in front. 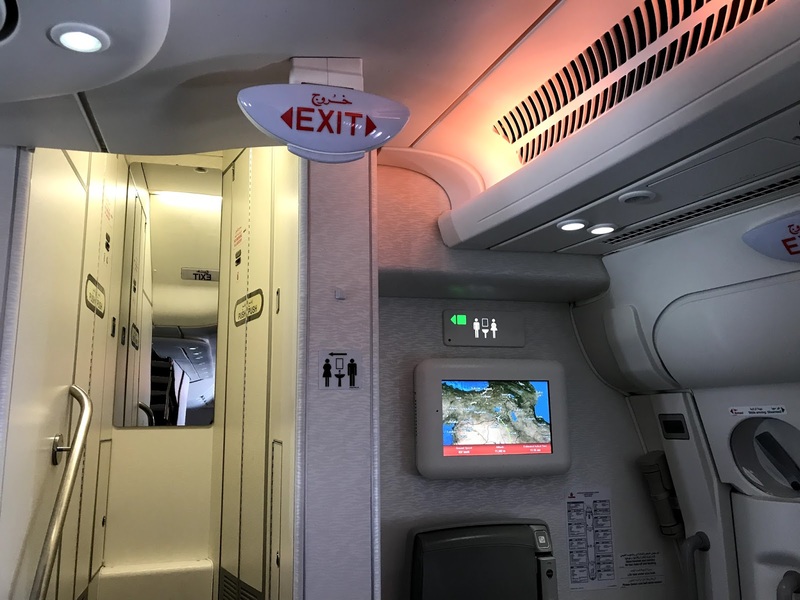 The indicators of whether it was taken or available were somehow misleading though I was closer to the door that would be used for deplaning. It could have been that one of the doors didn't close properly for the indicator to be illuminated red. Whilst waiting, I took a photo of the first/business class bar from where I was. The flight deck was also in sight and right next to one of the front toilets. I took another nap and it was halfway into the flight when the cabin crew started serving special meals (for those with dietary restrictions). The last thing I wanted to do was to skip a meal yet I was unsure if I would be fully awake in time for that. A half hour later, the regular meals were served. I chose the chicken option. In the middle of the service, the flight encountered light turbulence that lasted for some time. Service of hot beverages was suspended. But I managed to finish my meal and found it quite delicious. The cabin crew serving our row probably misheard me as I requested for water but got orange juice instead. It was no big deal as my neighbour took it. As I finished the meal, I also chose a French flick to watch, whereby the storyline was funny. Like the first two films, I had to skip key parts to play as many titles as I could. After the meal, we were also served hot towels. With under two hours to go, I decided to watch parts of an Italian comedy film. Shortly afterwards, I listened once again to the playlist I generated. It all went too fast though. Just under an hour was left on the flight and the seatbelt sign came back on. 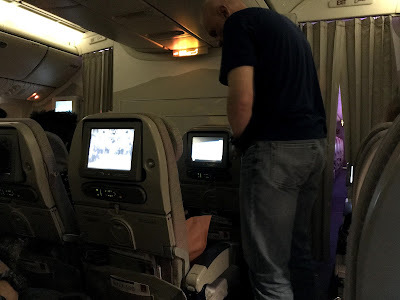 It was partly due to turbulence but the flight crew took the opportunity to let everyone know that they would initiate pre-landing checks, procedures, etc and being assigned to a bulkhead row, I had to stow my personal monitor in its original position. Within a half-hour, the headsets were collected. I was left to watch the airshow and a live view of the front on the big screen. However, it also took some time for the plane to land as it had to stay in a holding pattern for several minutes. 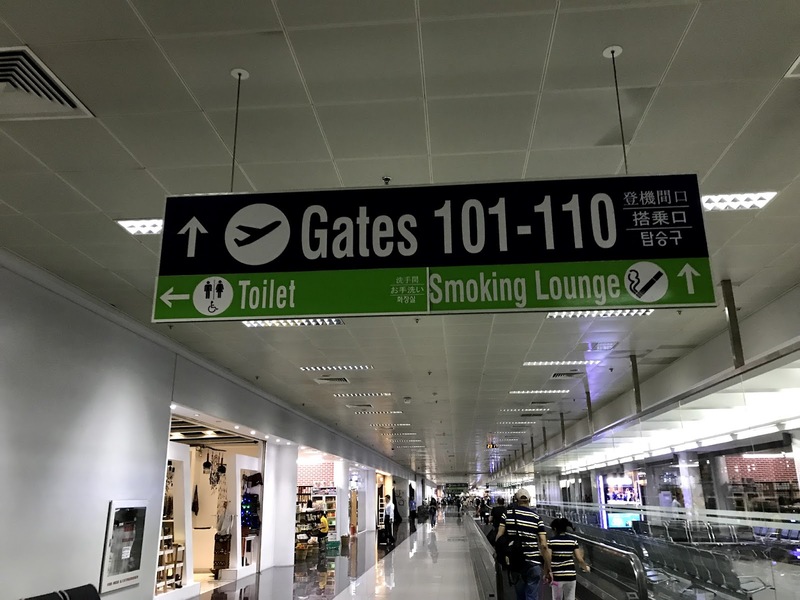 The pilot also told us that a gate would not be available until 12.00, so much for the 11.40 arrival. We landed at 11.56, which by industry standards was technically considered a late arrival. We actually got to deplane nearly 15 minutes later. The gate was a bit far from the 'main' terminal building. But the walk didn't seemed too long as I had to answer some emails on the way to passport control. Queues were not too long in the non-EU lane. I was served after nearly 10 minutes. But on my way, it appeared as if only Emirates first class passengers were eligible to use the fast lane as I didn't see a sign for Business class. After passport control, I proceeded to baggage carousel 10 and whilst walking, I tried to book a train ticket from my phone. I encountered problems using the app as my credit card company said that to continue verification, my 'browser' needed cookies to be enabled. 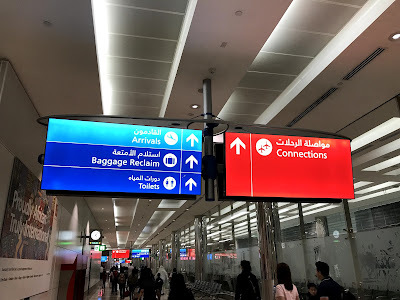 It took slightly long to find my bag only to be told that the flight used two baggage carousels, which is understandable considering the size of the A380 and the load. So I went to the other and indeed found my bag there. Something new happened on this journey that I haven't encountered before: being stopped at customs. The officer who attended to me was quite friendly though, asked routine questions, and within three minutes, I was on my way. They said this was a routine check since I wasn't coming from a European Community country. After customs, I exited and proceeded straight to the south terminal where the trains departed. I purchased a ticket manually instead at the ticket desks. I left Gatwick Airport for central London at 12.15. There was a slight delay upon arrival as a platform was not yet available for us to dock on. 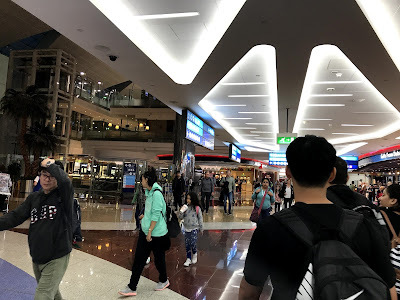 Boarding Process (9/10): The process was fairly orderly although it didn't make sense to me why the boarding had to start 75 minutes ahead of departure. Sure the A380 is a large plane but starting a boarding call at that time may make passengers panic. Seat Comfort (10/10): The seat was wide enough for me to place some items such as a small water bottle on the right hand corner of it without me squishing it. Despite the snafu over seat allocation, the legroom felt massive. Food (9/10): The first meal or snack was somehow different from what I was used to. Lucky I was a cheese lover so I had no problems eating it. The second meal was quite delicious. Cabin Crew (9/10): Despite minor mistakes, the cabin crew was nonetheless helpful. Punctuality (6/10): We departed fairly late thanks to some passengers who didn't turn up. Consequently, despite the shorter than advertised flight time, we arrived 16 minutes late, which is beyond the the 15-minute grace period for a flight to be considered on time. In-flight Entertainment and Connectivity (9/10): The absence of live TV doesn't take away from the fact that Emirates has one of the widest IFE collections in the industry. 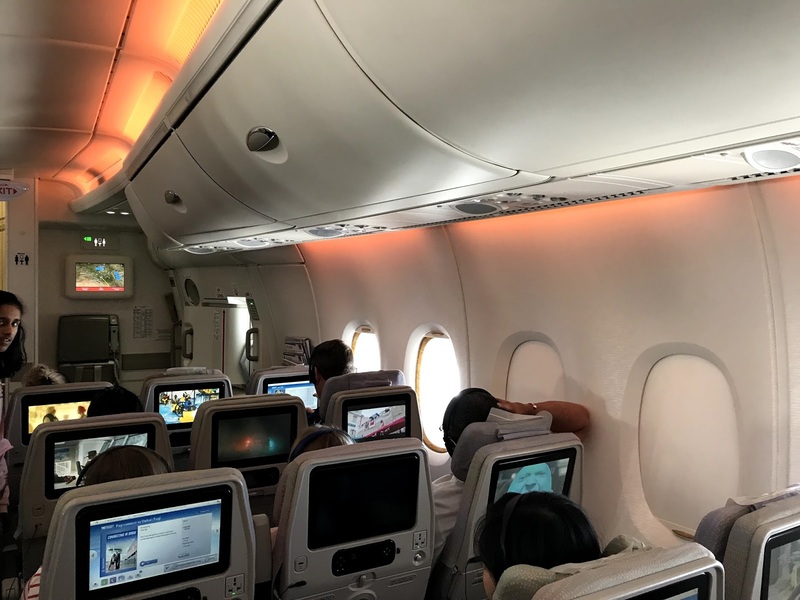 You will need to create your own airline (and buy the rights to the IFE selection) if you do not like the IFE on board. 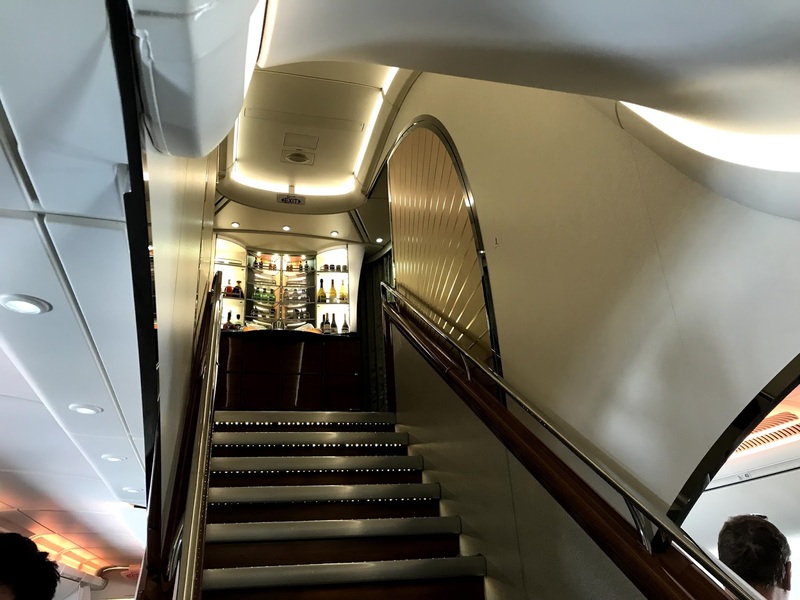 In terms of content, I doubt you will get anything better than Emirates. That said, one place they could improve on is the customised playlist passengers create. Sometimes after a few minutes away from the music, the system plays something different and passengers need to manually go back to the playlist and guess the music they last heard. Also, the shuffle had to be activated each time the playlist is altered or played again. But this thing about the playlist is a fairly minor point. To conclude, if Emirates, being a four-star airline is quite a reasonably good experience, imagine what it would be like to fly with a five-star carrier like Qatar Airways. Zest Air Promo - One Peso Sale!